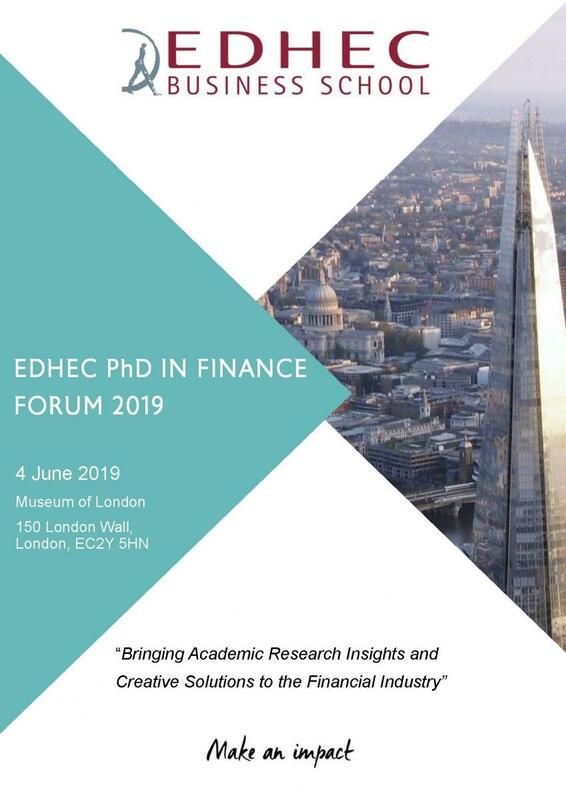 On 4 June 2019 from 1:45 pm, the third edition of the EDHEC PhD in Finance Forum will again present the research carried out by our graduates and candidates, encouraging discussion with the community of practitioners and faculty about the results of these original contributions. John Y. Campbell, the Morton L. and Carole S. Olshan Professor of Economics at Harvard University will deliver the keynote speech. We are delighted to welcome you to this event. For any request, please send an email.